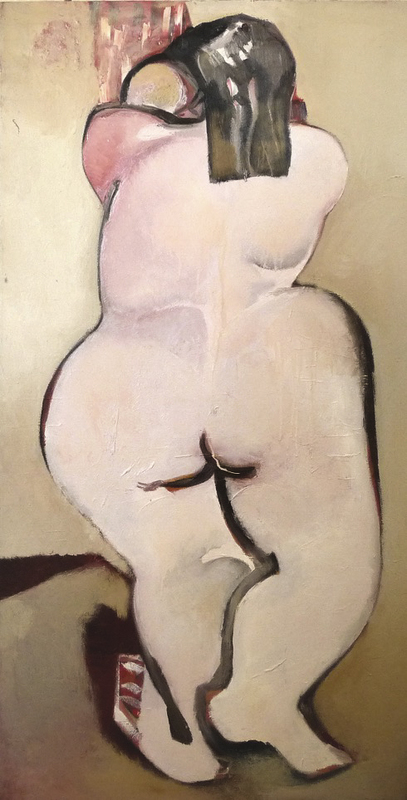 “Contempt of the ephemeral gives Turovsky’s work the power of time. 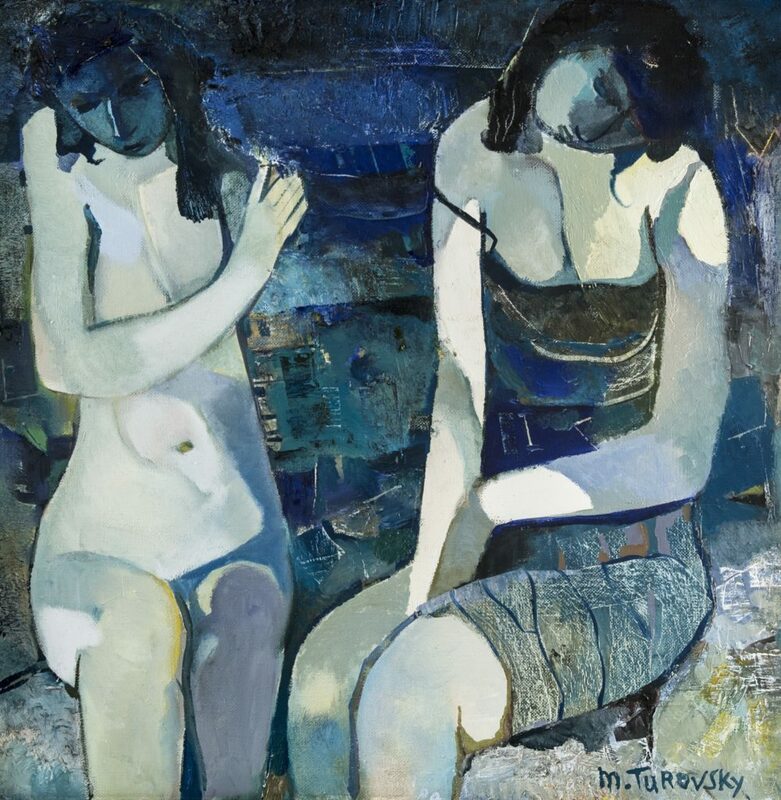 Mikhail Turovsky was born on May 8, 1933 in Kiev, Ukraine (former USSR). This was the year of Hitler’s rise to power in Germany and the year of the strengthening of Stalin’s tyrannical reign in the USSR. These historical events influenced the subsequent fate of the artist. When the USSR entered World War II in June 1941 life was dramatically altered. His father voluntarily enlisted in the army and was killed shortly thereafter. His mother and her two sons fled Kiev, found themselves on German occupied territory, and miraculously escaped, making the grueling journey to Samarkand. The Leningrad Art School for Especially Gifted Children was also evacuated to Samarkand. Both Mikhail and his brother Anatoli were enrolled in the school in 1942. In 1945, after the war was over the family returned to Kiev. 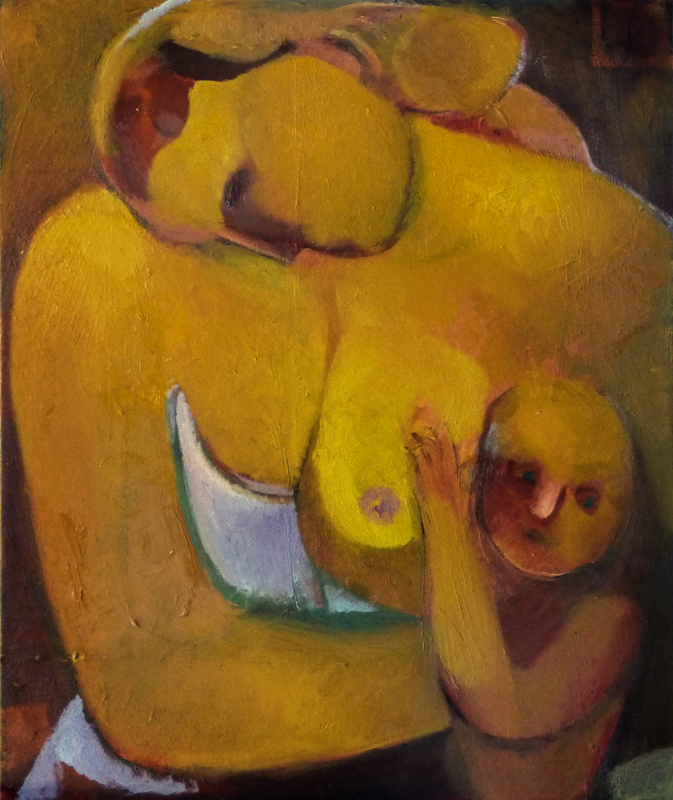 In 1946 Misha enrolled in the 5th grade of the Taras Shevchenko Art School in Kiev. In school he began to display extraordinary talent for drawing, receiving many awards. In those lean times these awards were comprised of pencils, paints and paintbrushes. 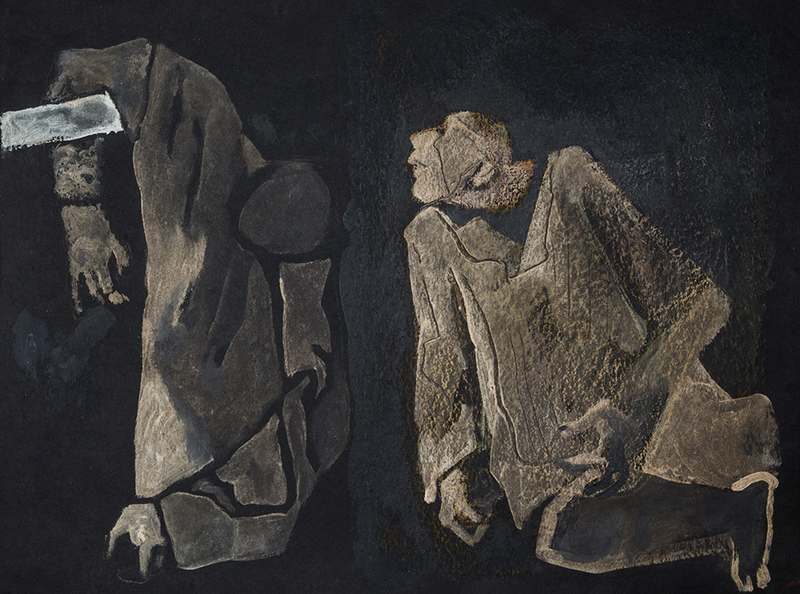 In 1949 he was awarded first prize at the All-Ukrainian exhibition devoted to the 150th anniversary of the birth of Alexander Pushkin, for his watercolor “Mozart and Salieri”, based on the themes of Pushkin’s tragedy. 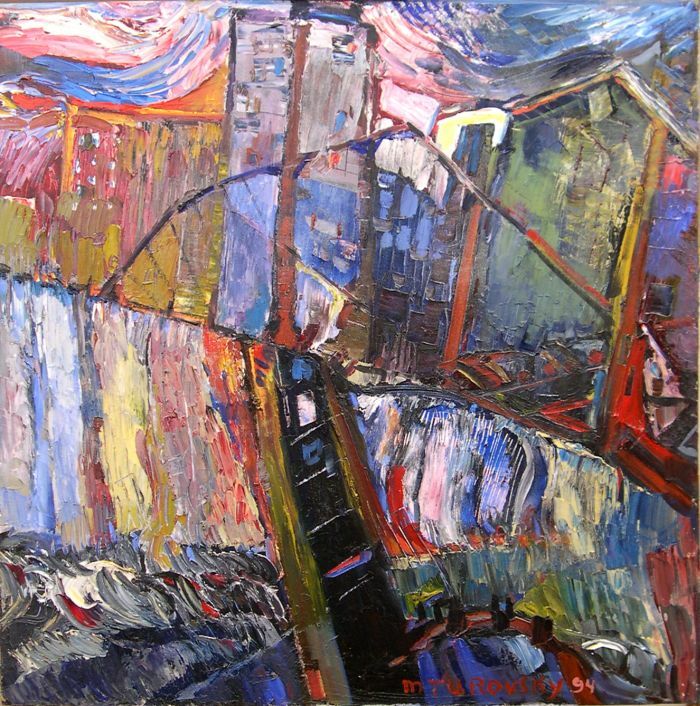 The work was exhibited in the museum on the same wall as such masters of Russian art as Repin and Vrubel. He finished school in 1952. The next step in obtaining an art education was to be accepted by the Kiev Art Institute. He was rejected twice due to anti-Semitic policies in education. and, because of his perseverance and tenacity, was accepted on his third attempt. This occurred in 1954. He was graduated in 1960. 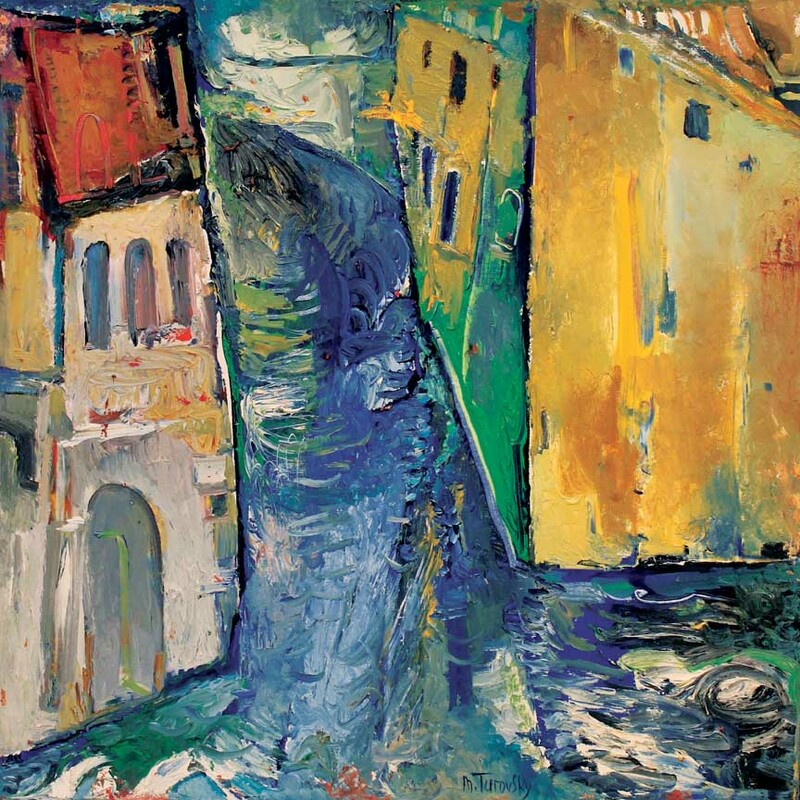 From the beginning of his studies at the Institute he started to exhibit at Kiev and All-Ukrainian art exhibitions, later in All-Soviet exhibitions. 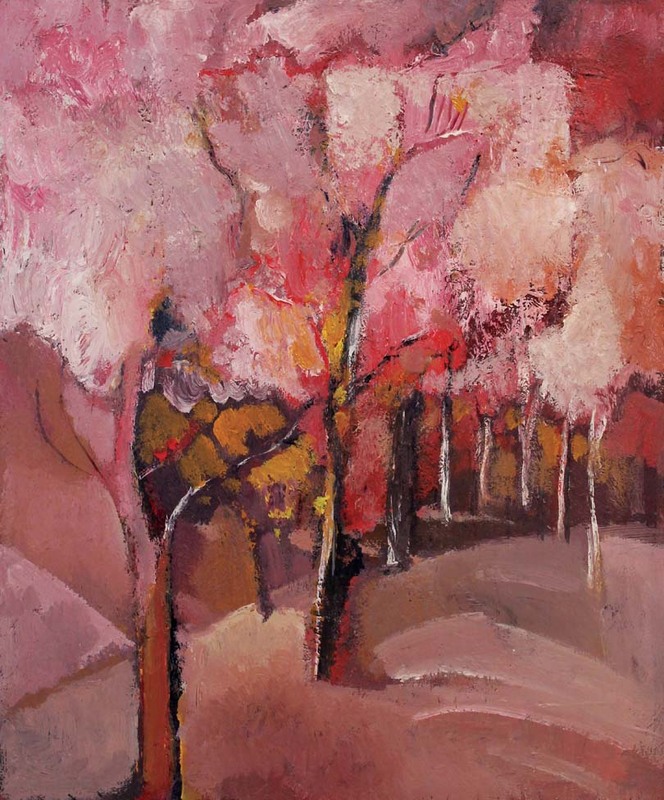 In 1965 he was accepted for post-graduate study at the USSR Academy of Art, which he completed 1967. 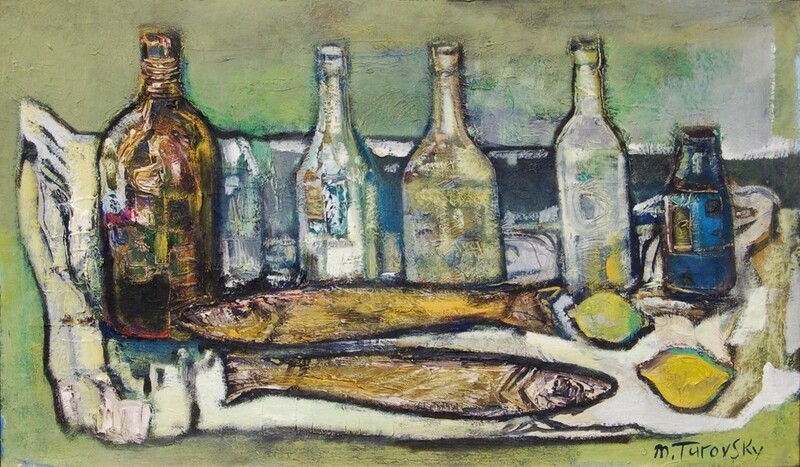 In this period Mikhail’s reputation as a master grew and he participated in many exhibits of Soviet art abroad the USSR. He was accepted in the highly prestigious Union of Creative Artists. Pressure by the government limiting creative freedom was becoming unbearable, as were the continuing covert and overt anti-Semitic policies. 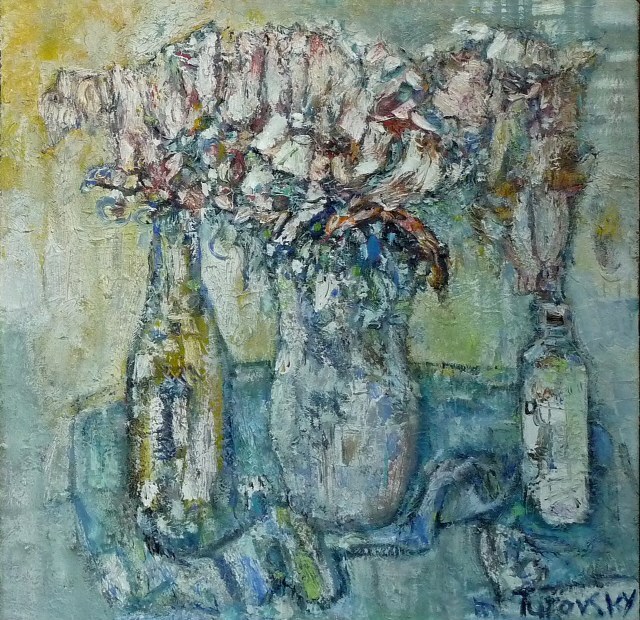 By 1978 Turovsky and his family made the firm decision to leave the USSR. In August 1979, with his wife Sophia and their two children Turovsky immigrated to New York. The family settled in the Bronx. When Turovsky left Kiev he was unable to bring with him a single painting or drawing – everything was declared national property. 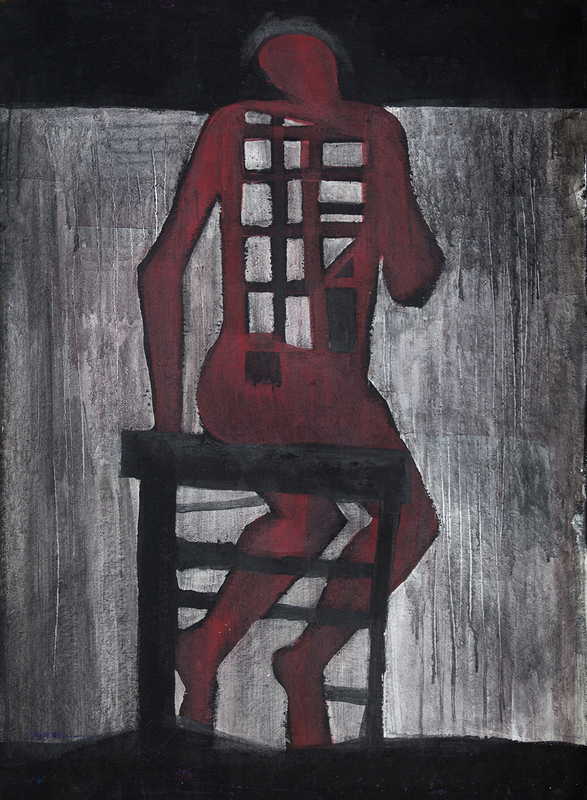 In 1980 Turovsky began the cycle of paintings and drawings on the theme of the Holocaust, which resulted in the production of 65 paintings, and many drawings. 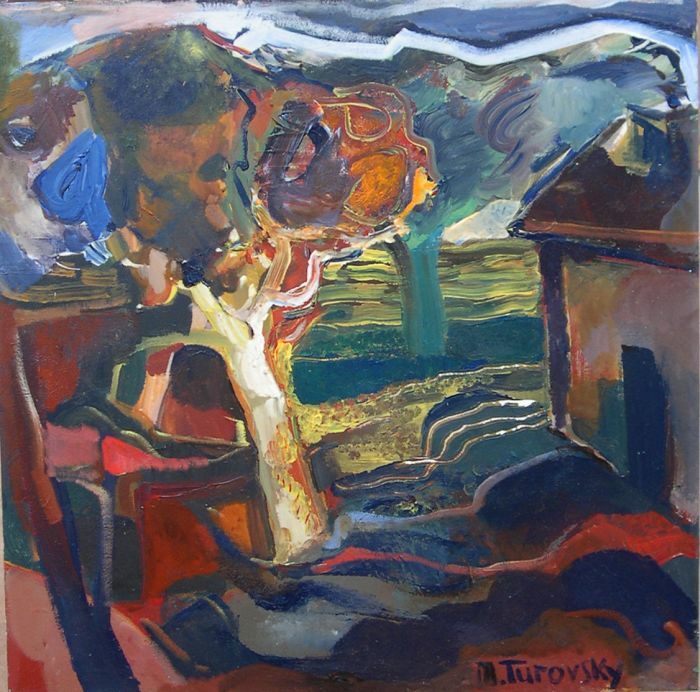 In the late 1980’s Turovsky began to again address the themes that always moved him: the female figure, motherhood, later landscape, still life, the portrait – the eternal themes of art. 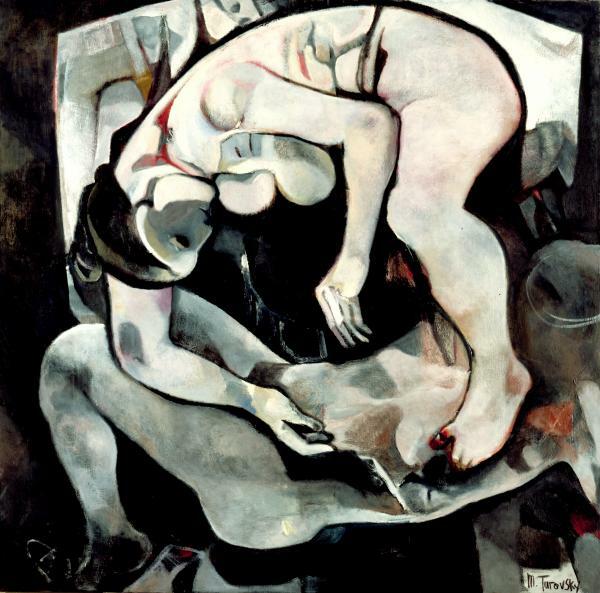 He developed a style which was dubbed by French art critics as figure abstraction – the combining of the elements of figurative and abstract art. 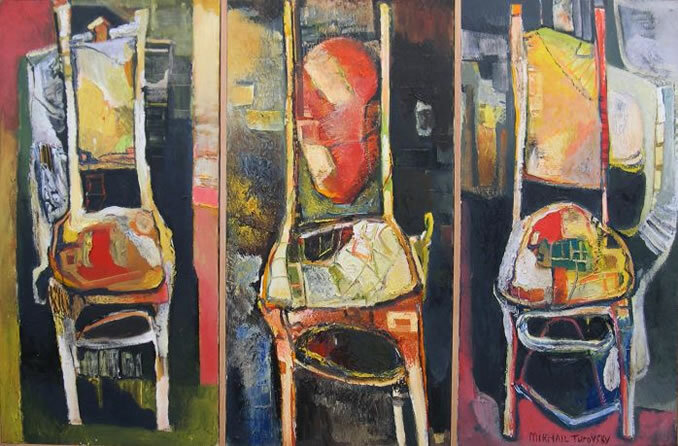 His palette became brighter, more joyous and energetic. 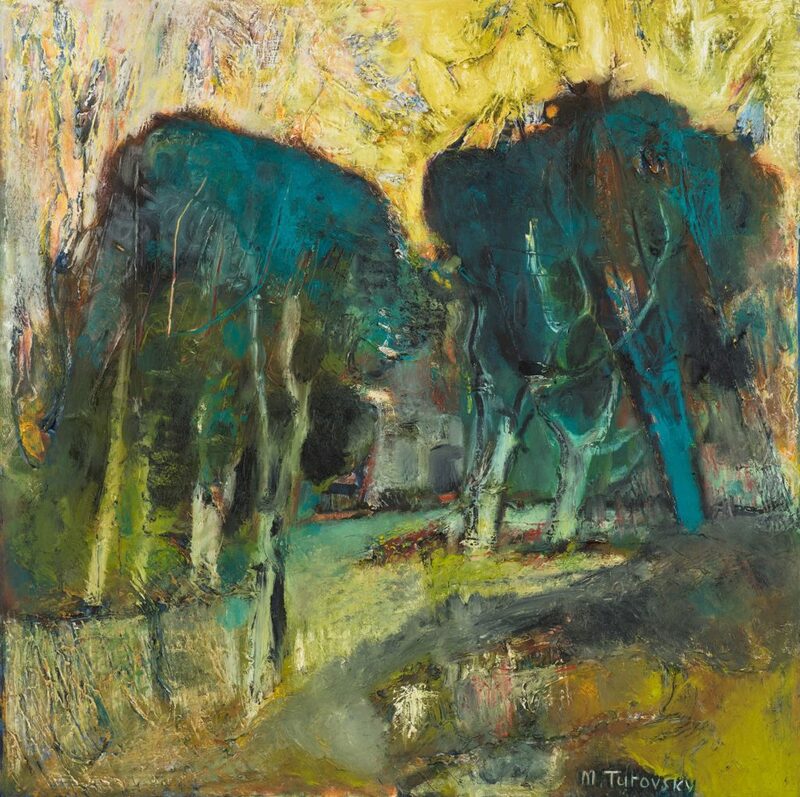 This was noticed by the French dealer Serge Lencner and his collaboration with Turovsky led to a series of European exhibitions, articles by European critics, television and radio interviews. Work in this direction continues to the present day. 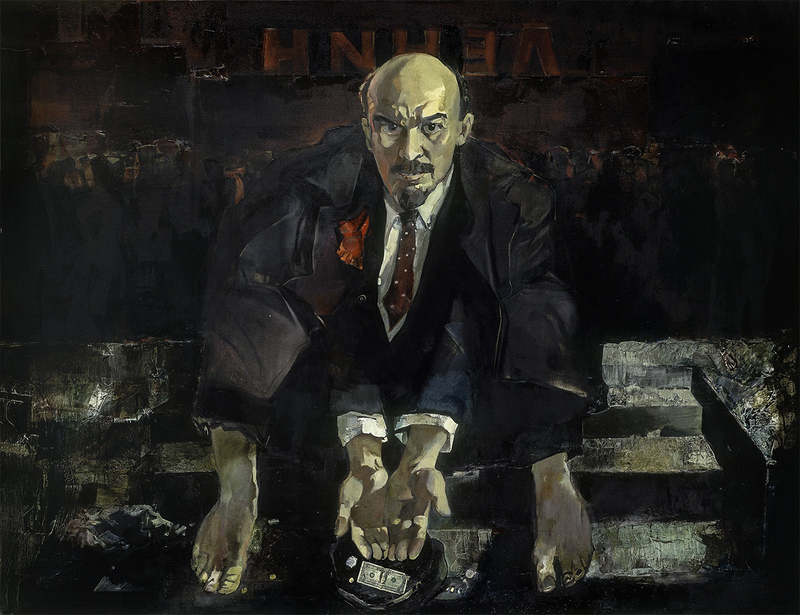 In the years 1991-1994, due to the events surrounding the radical political changes in the Soviet Union Turovsky began work addressing a theme of grand social proportion: a cycle of 17 paintings entitled The End of the Great Utopia, examining the phenomenon of Vladimir Lenin in Russian history and the history of humanity. 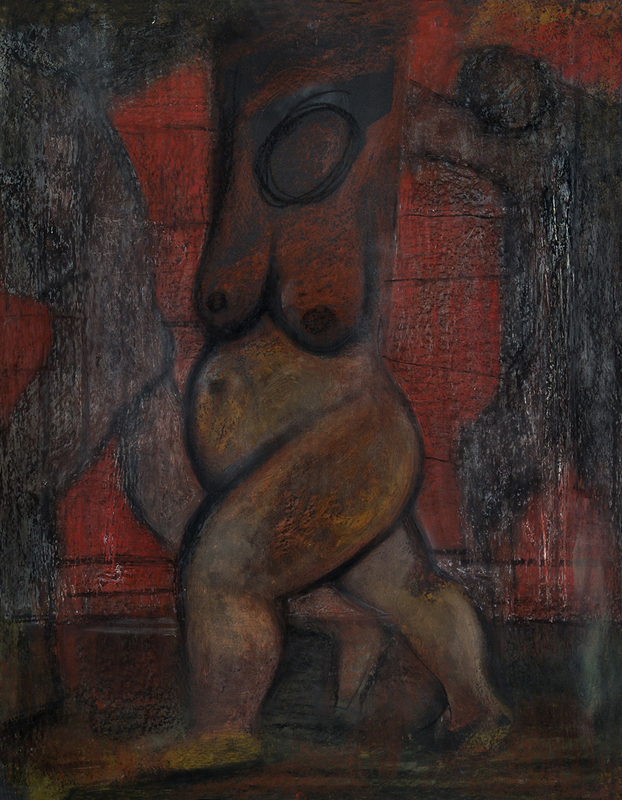 This cycle was exhibited in New York, Brussels, and in Venice, concurrent to the 1999 Venice Biennale. 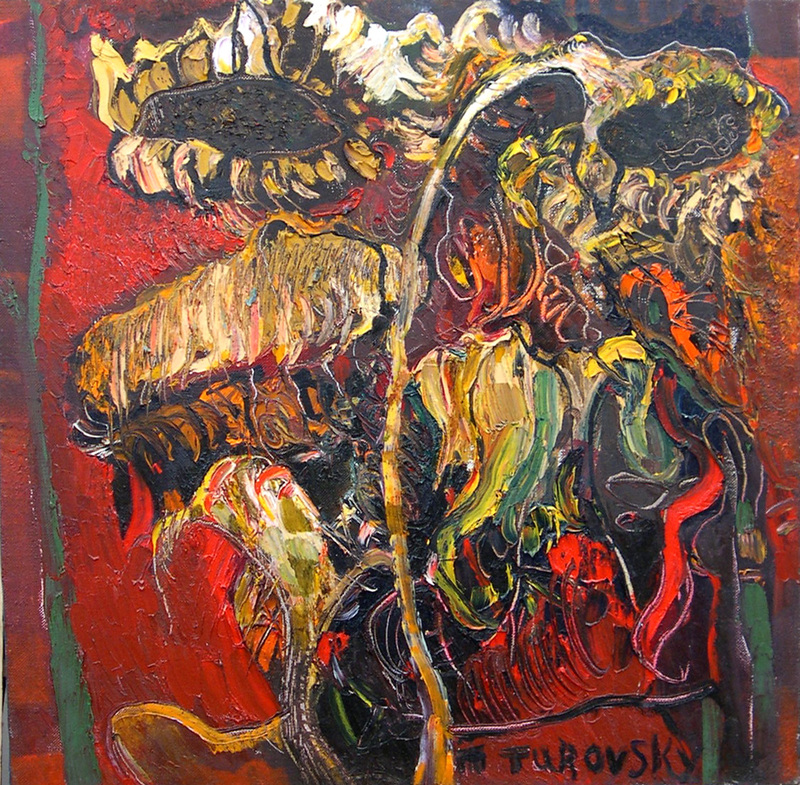 Turovsky is an artist of great range and energy. 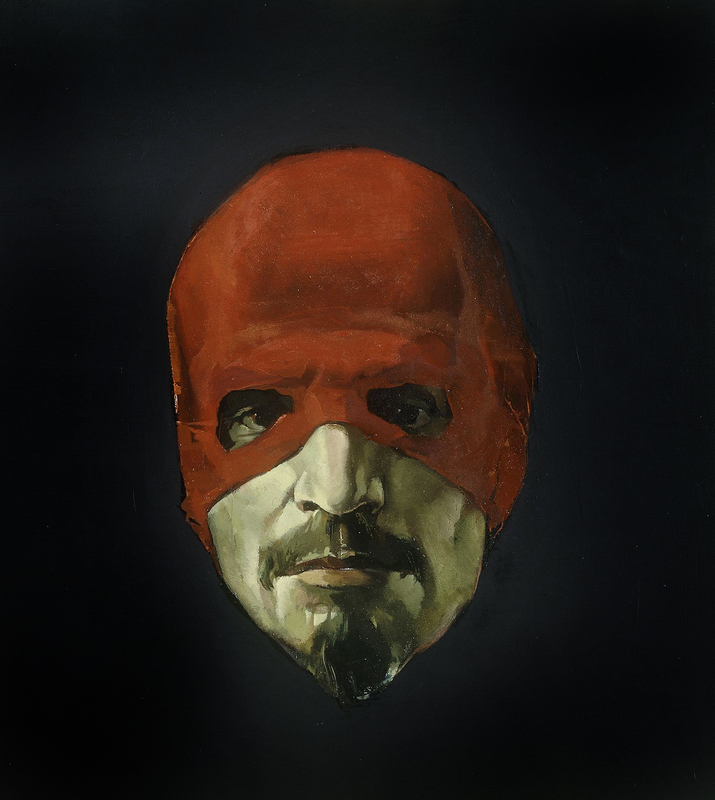 He constantly experiments with diverse materials, is extremely prolific in his output and is one of the great masters of our time in the field of painting and drawing. 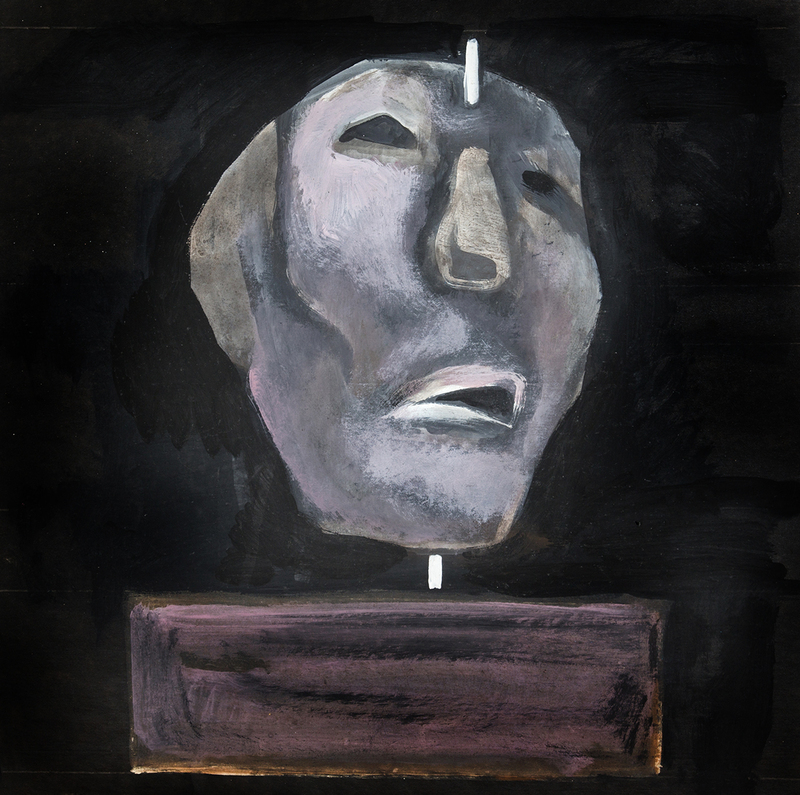 He continues to develop the figurative tradition enriched by the achievements of modernism and belongs to the rank of such masters as Lucien Freud, Balthus and Alice Neel. 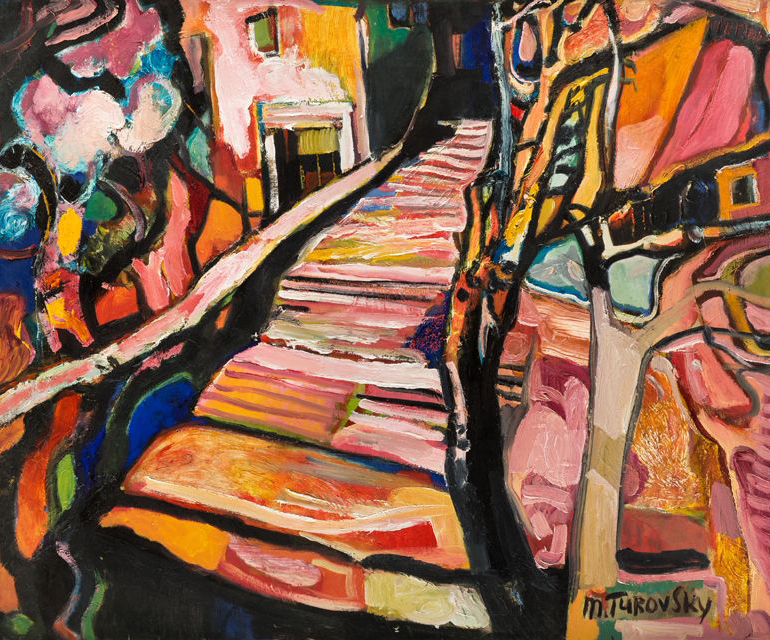 His paintings are part of the collection of such museums as Yad Vashem Memorial Museum in Jerusalem, Israel; the State Tretiakov Gallery in Moscow, Russia; The National Art Museum of Ukraine in Kiev; The Snite Museum of Notre Dame University, Indiana; and Judah L. Magnus Museum in Berkeley California, among others, as well as in many private collections. 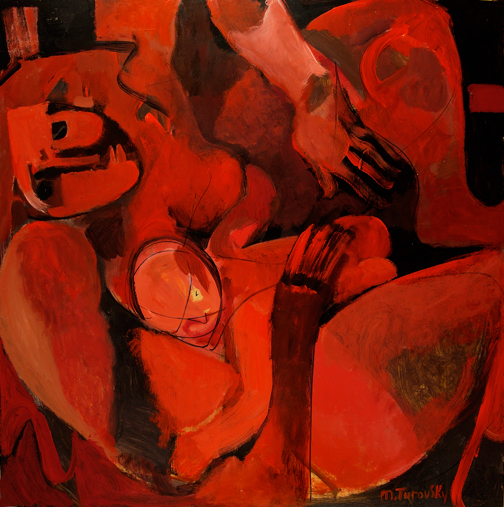 His paintings have been shown in various galleries in Europe and America. 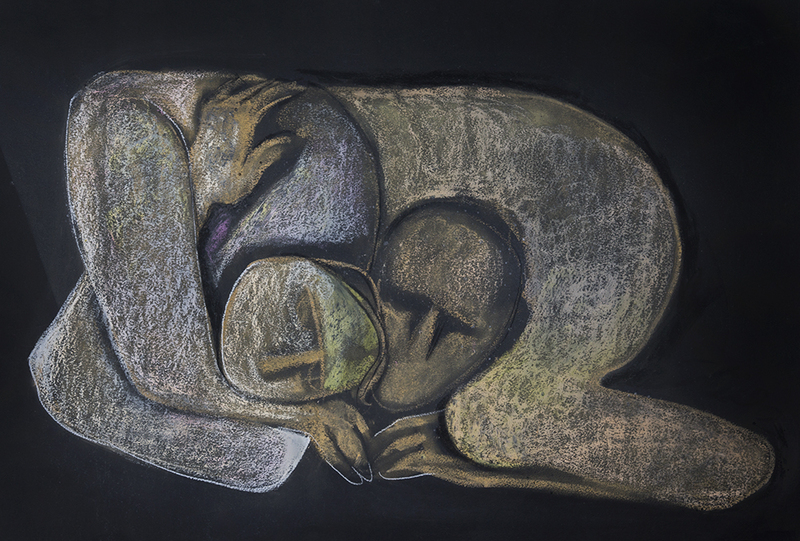 His works have been exhibited in galleries and public spaces of such cities as New York, Philadelphia, Paris, Geneva, Madrid, Bordeaux, Lyon, Lille, Brussels, and Venice during the 1999 Venice Biennale. 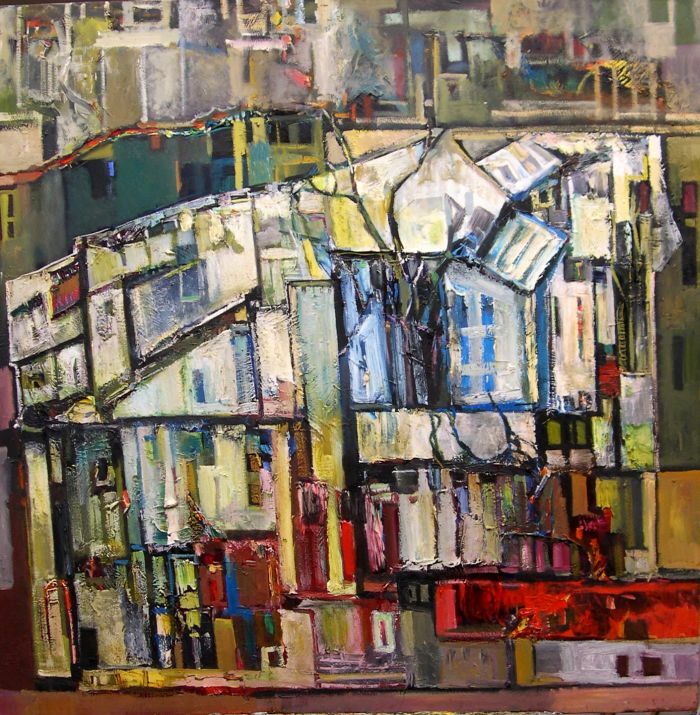 In June of 2001 a solo retrospective exhibition was held at The National Art Museum of Ukraine, comprised of 80 selected paintings of the previous 20 years. 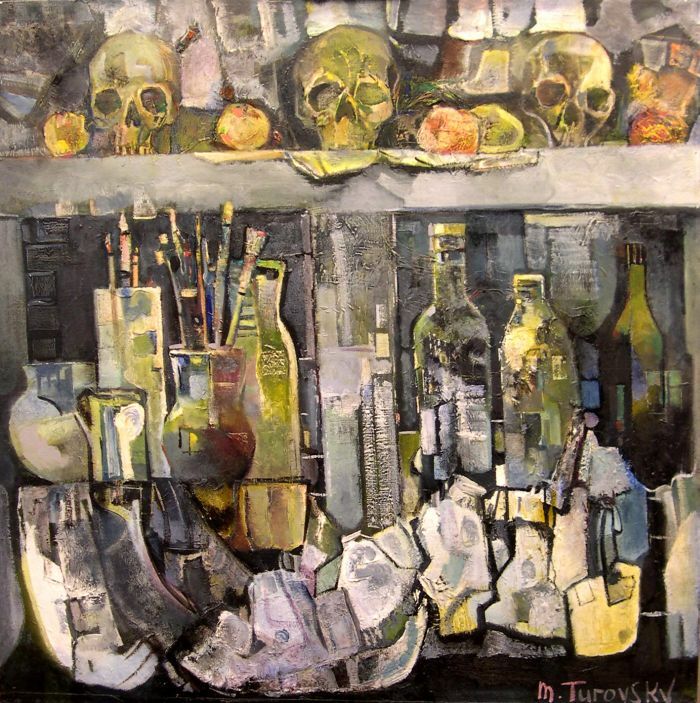 In January of 2009 exhibition of Turovsky HOLOCAUST paintings was held at the headquarters of the United Nations Organization in New York, and in October of same year at the Cathedral of St. John the Divine in New York City. 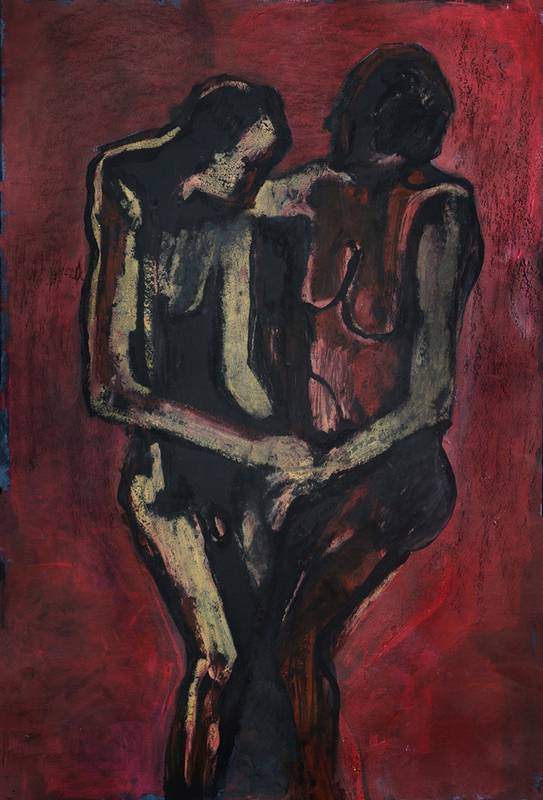 In May 2012 a solo retrospective exhibition was held in New York City at the National Art Club. In 2004 a big monograph “ Mikhail Turovsky” was published in Paris by Attard publication. 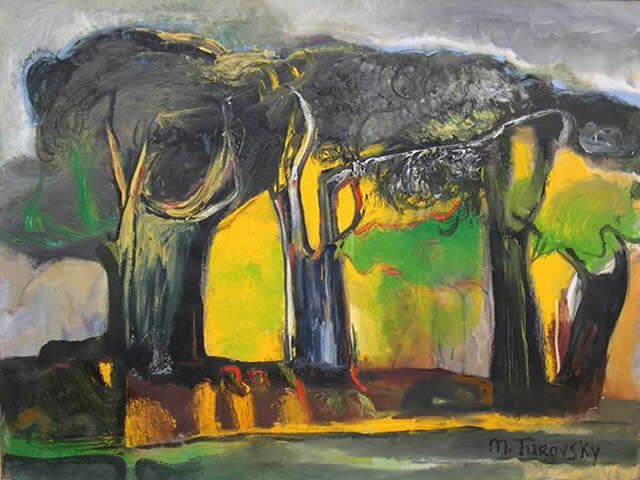 In 2008 Turovsky received from President of Ukraine the honorary title of People’s Artist of Ukraine and in 2009 was elected as a member of The Academy of the Arts of Ukraine. 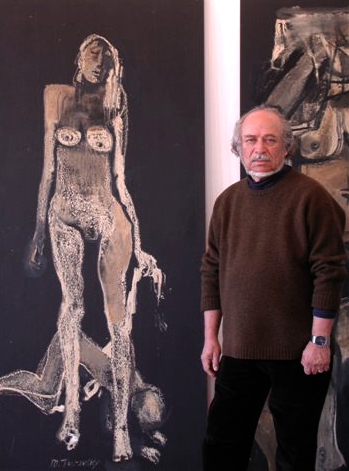 In 2013 Mikhail was awarded the Gold Medal of the Academy of Arts of Ukraine. In 2014 Mikhail was named “Person of the year” russian speaking America. Mikhail Turovsky is also an author-aphorist. His book of aphorisms “Itch of Wisdom” has been published in both Russian and English editions.